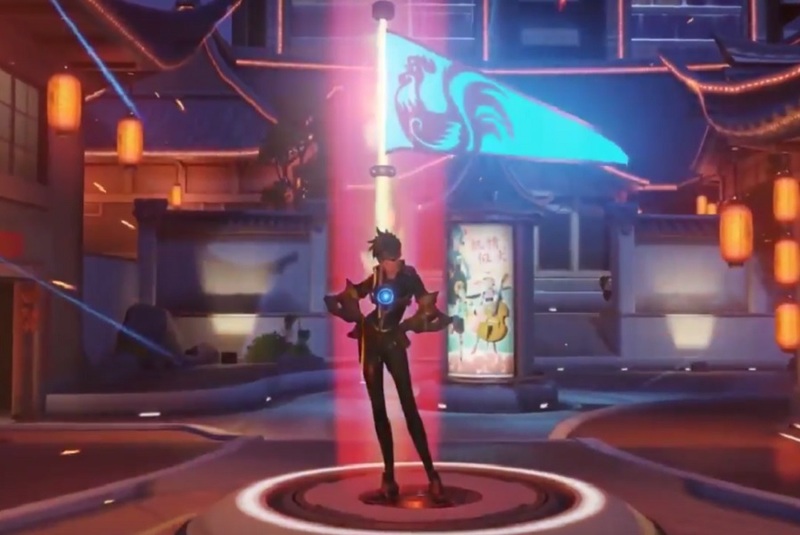 A new trailer for Overwatch's Chinese New Year event, the year of the rooster has been revealed. Overwatch’s Year of the Rooster festive event has finally received a trailer revealing almost everything we should be seeing once the event is available to players. This trailer reveals even more skins such as, JunkRat decked out with fireworks (how fitting), tracer is just reskinned with flowers on her suit, Bastion is receiving a new paint job while his lovely little birdy Ganymede has turned into a rooster. This Trailer is jam packed with most if not everything you need to know about this festive event. Some of the same skins that we’ve seen in previous leaks show up once again as well as some of the new emotes, sprays, and victory poses. In an previous Year of the Rooster article we speculated that like most of the other festive events, one map would be undergoing a reskin for the festivities. That map we speculated to be reskinned was Lijiang Tower, due to its origins being in China, so it seemed perfectly logical that this map would be the one. It seems that the speculation was spot on, as you can see in the trailer Lijiang Tower is beautiful redesigned to fit the Chinese New Year feel. The trailer also reveals a new game mode that looks to be a capture the flag gamemode. This is going to be an interesting sight to see rather than your average objective to push the payload. Blizzard has yet to confirm everything that will be included within the Year of the Rooster event but between all the leaks i’d say players have a good idea of what to expect. On a side note players have speculated there to be a Valentine's day event, players datamined the game and found special voice lines that would link to a Valentine's day connection. However, Blizzarded has touched on the subject before stating they have no plans on a Valentine's day event nor Easter. What do you think about the trailer? What new skin are you most excited for? Let us know in the comments below.